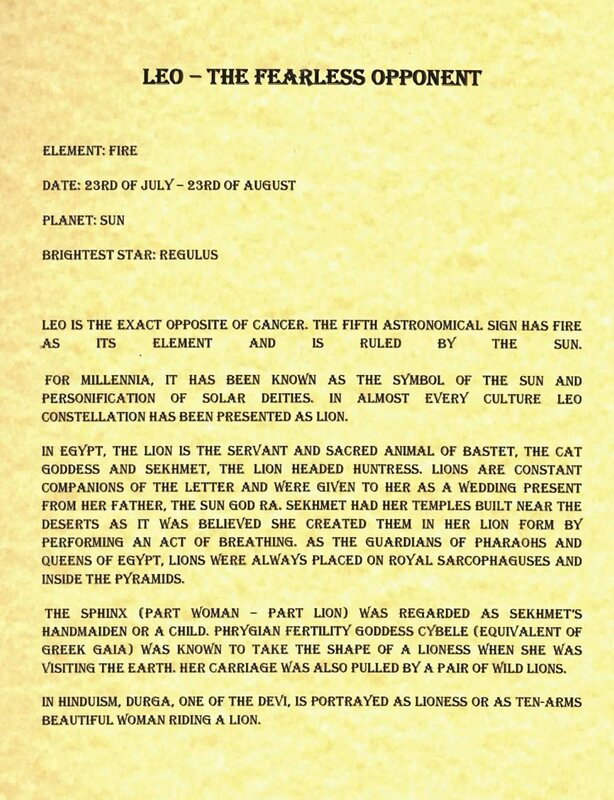 Leo, a symbol of the sun is considered as one of the oldest and the most powerful signs. Many astrologists consider them to be self centered, stubborn, lazy but also very loyal, warm-hearted, outgoing and (surprise!) daydreamers! Leo always have big plans and will go to great length to make the plans a reality. They do not accept defeat; they will try many times to achieve their goals. Success is not something that comes easily to them, but when it does, it is usually very spectacular – Leos became rich and famous! They will then shower their friends and family with gifts and presents! Well, let’s see what the Leos have to say about themselves. 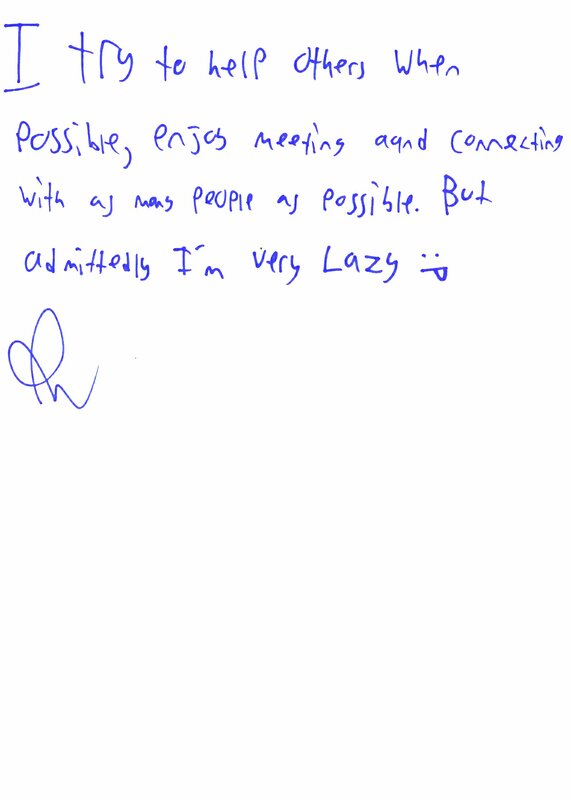 The first comment in the guestbook was left by Ika. 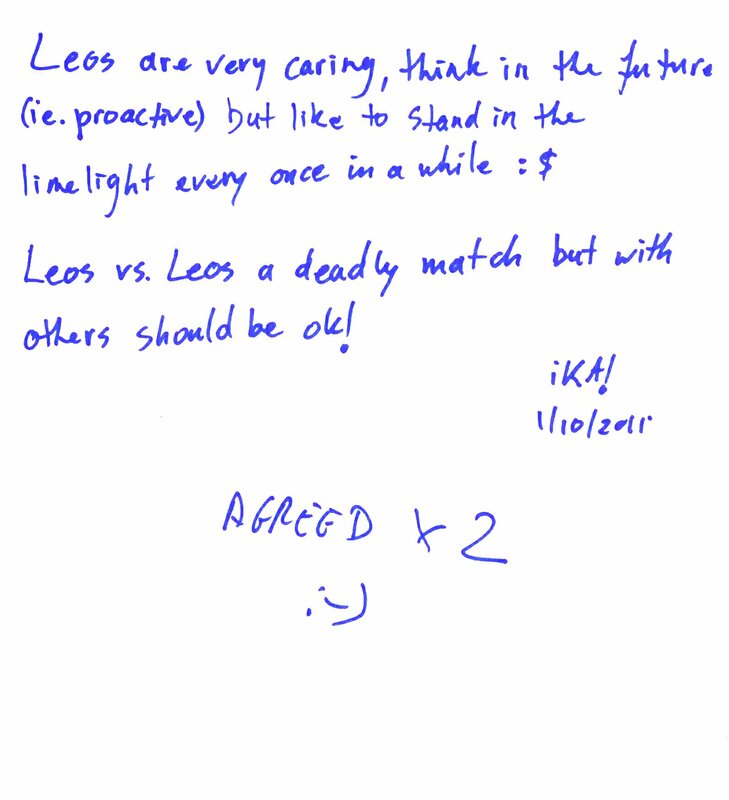 It states: “Leos are very caring, they think of the future (they are proactive), they like to stand in the limelight once in a while :$ Leo vs. Leo is a deadly match but others should be ok!”. Somebody else put a very funny comment below, completely agreeing with what Ika said by writing: “AGREED x2”. Second post comes from a Leo himself of herself. 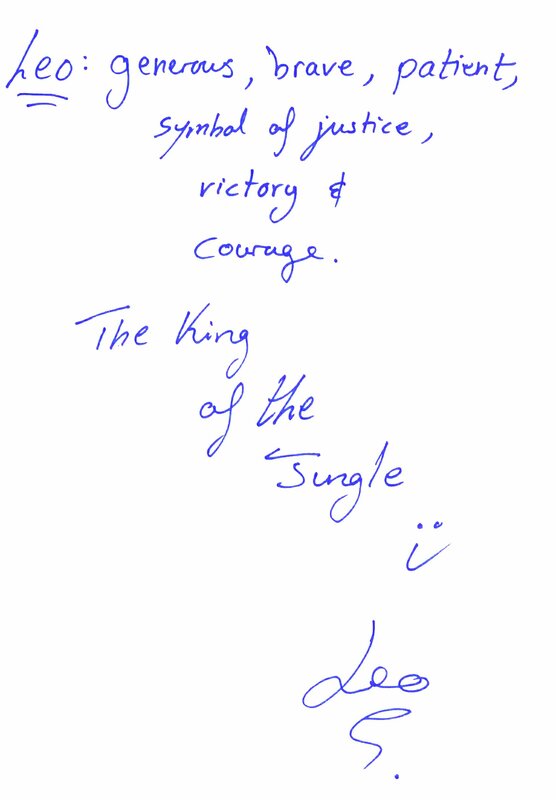 Leo wrote: “Leo – generous, brave, patient, symbol of justice, victory and courage. 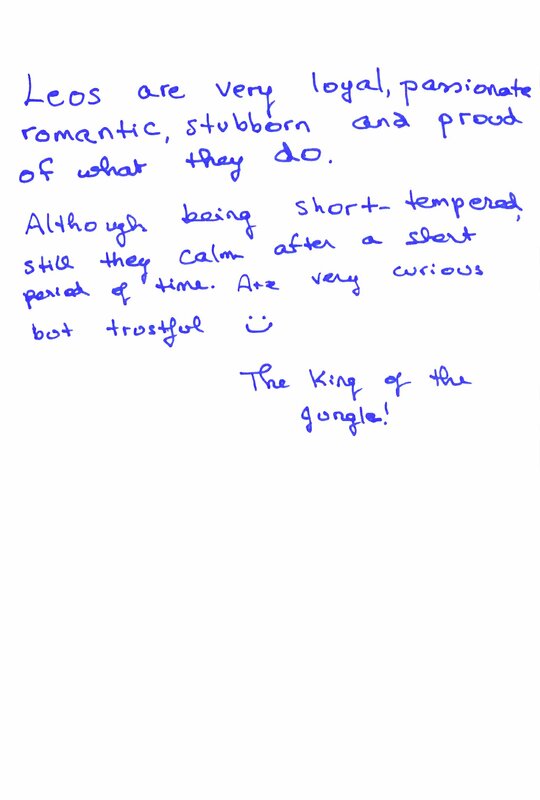 The Kind of the jungle ; D”. Yasser Arafat, Palestinian leader and the Laureate of the Nobel Prize was born on 24 August 1929. Another post was also contributed by a Leo, this time however, anonymously. It reads: “As a Leo, I always want to look my best. I like to be the centre of attention; I like to stand out in a positive way”. At the bottom of the page, a few words in Italian have been scribed: “Tutti I Leoni sono fiolare!” – “All Leos are…..”? If you can help us with the translation, let us know!! Most of the comment we have received sadly are contributed anonymously. The next is not an exception. The visitor has written: “Often physically attractive people. Bright and centre of any company. Passionate.” And yet again, another sentence has been added at the bottom of the page: “Leo… they are annoying”. Not everyone has the good opinions about Leos. 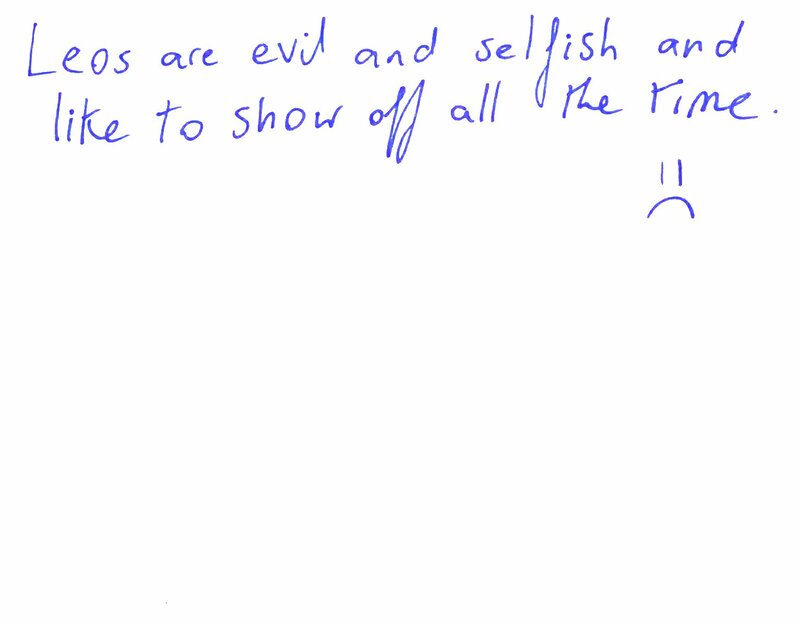 The next visitor left a harsh note saying: “Leos are evil and selfish and they like to show off all the time”. Robert Redford, Patrick Swayze are among those Leos who are wildly admired for their charm and achievements. We say, there are 100 good Leos for every evil one! 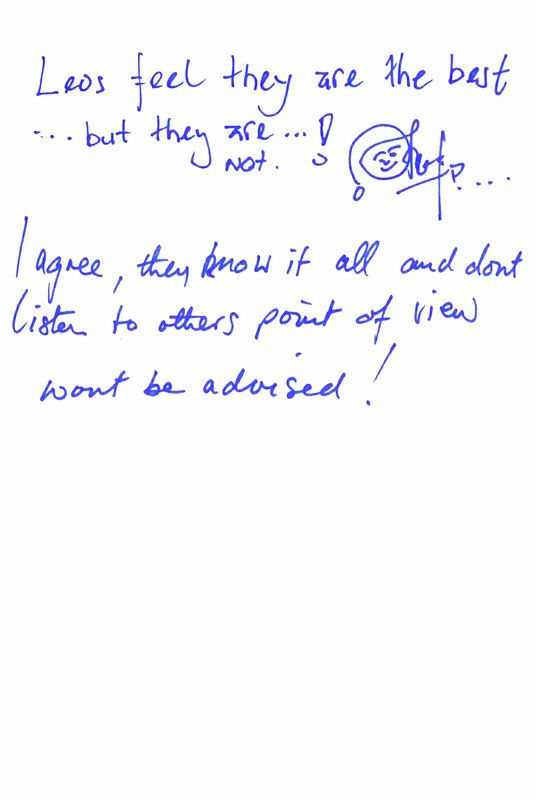 Complete different opinion has been presented in the following comment. Also anonymous guest think that: “Leos are honest people”. Magic Johnson, a famous basketball player, was not afraid to speak about HIV/AIDS in the early 90’s when the disease was still a social taboo. 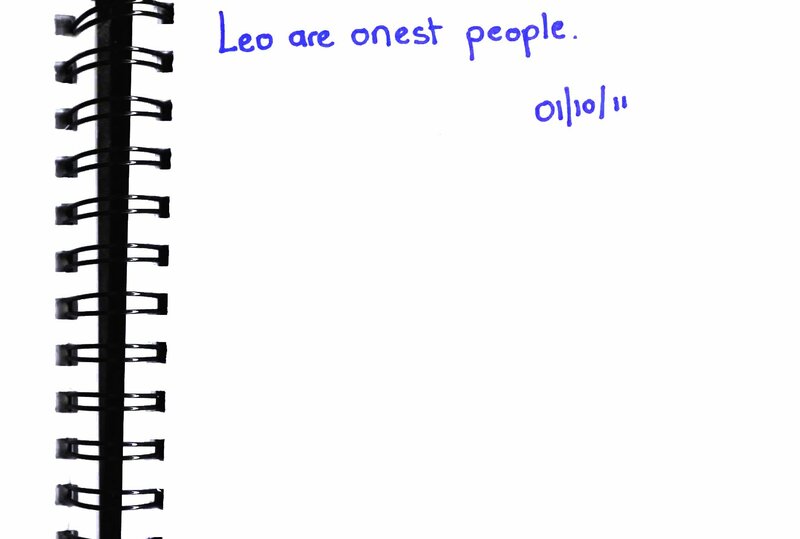 One of the longest entries in Leo guestbook also came from an anonymous writer. The person shared a long list of traits what makes Leo so unique: “Leos are very loyal, passionate, romantic, stubborn and proud of what they do. Although being short-tempered, they calm after a short period of time. (They) are very curious and trustful. The Kings of the jungle!”. 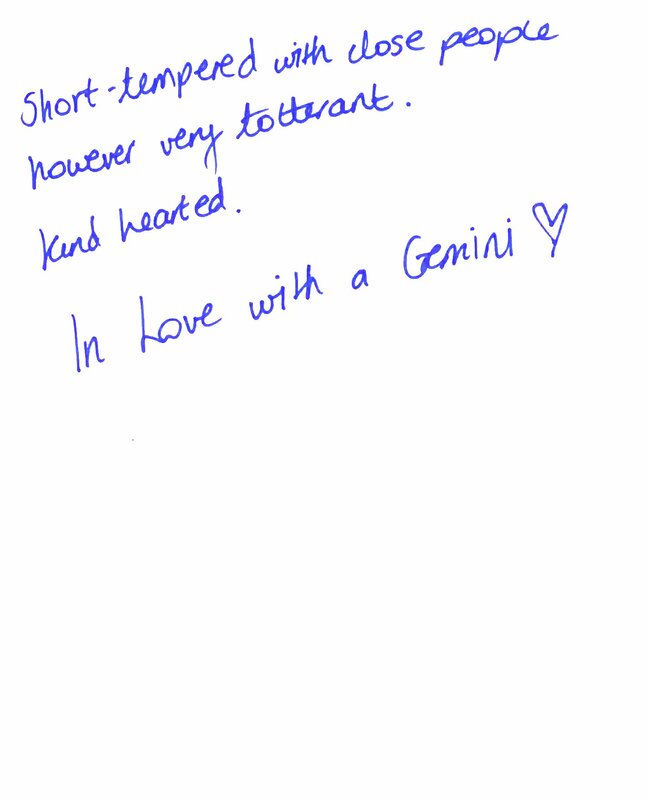 A “Leo in love with Gemini” has summed his brothers and sisters with these words: “Short-tempered with close people, however very tolerant and kind-hearted”. Princess Royal Anne and her grandmother, Queen Elizabeth – The Queen Mother were known to have a difficult relationship with each other, they were however very close and supportive of their choices and plans. Leos can be very critical of themselves as well. Please read the comment left by another guest: “I am a Leo. 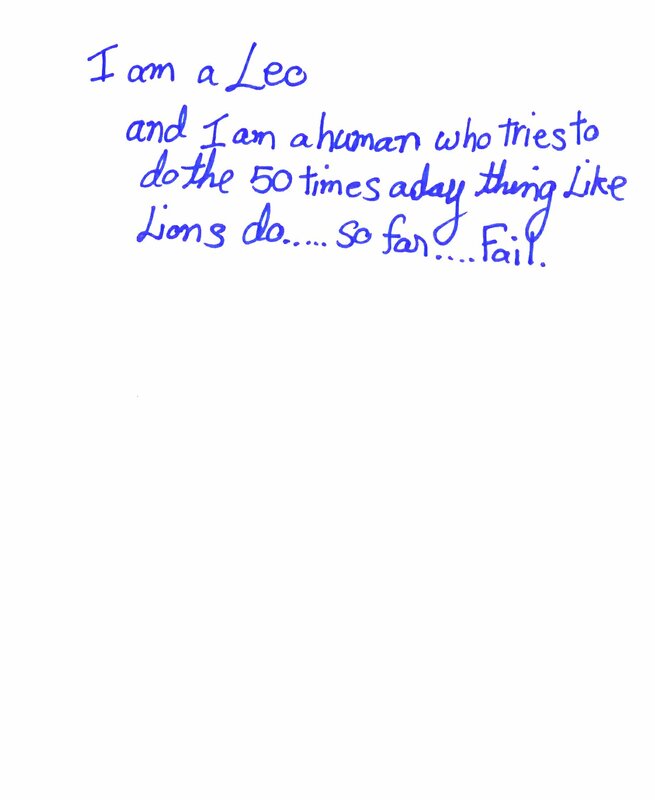 And I am a human who tries to do the 50 times a day like Lions do…So far…Fail…” We are not sure, what is the thing that lions do 50 times a day, but we know they will do it until they succeed! The discussion continued on the second page. 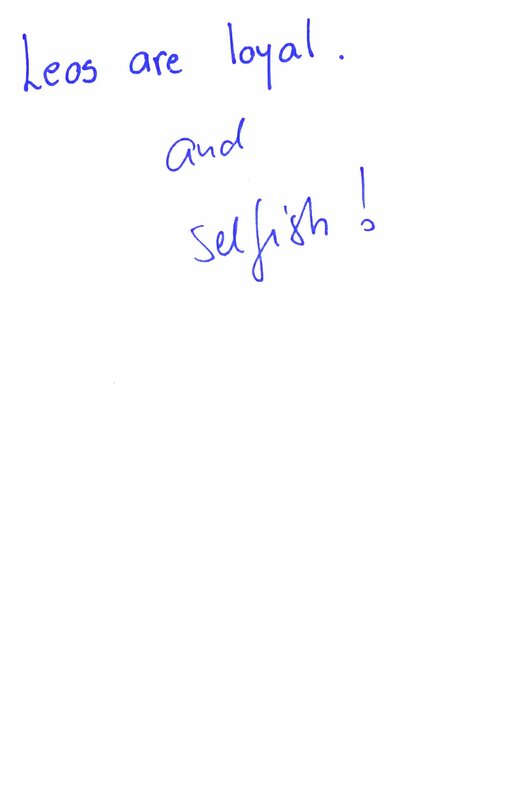 Third author participated by adding: “Agreed, Leos are loyal and selfish!” Loyalty and pride (sometimes mistaken for selfishness) are the traits of politicians, statesman and spies. Bill Clinton, Herbert Hoover and Mata Hari were of course Lions! 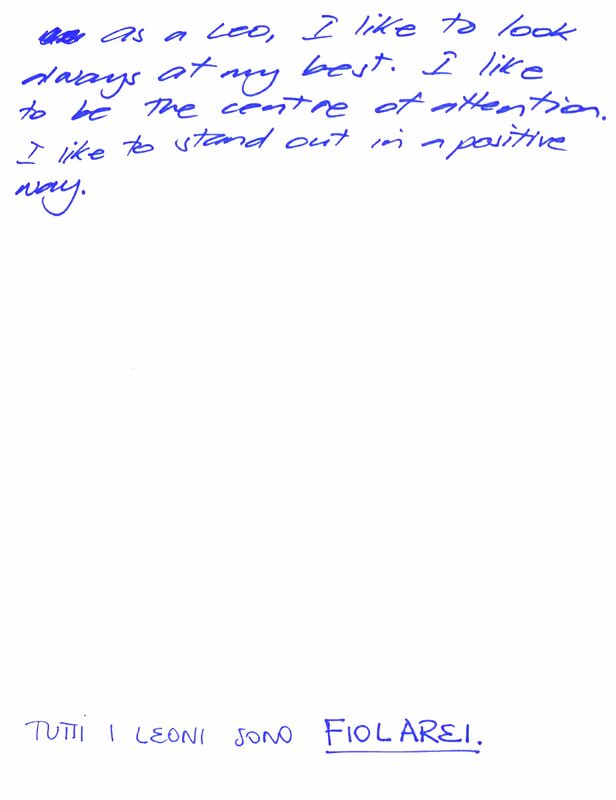 Samir Hussain wrote one of the most personal comments in the book. He said: “Lions are very good, professional kind hearted, hard workers. However, they are unlucky in their life as they face a lot of difficulties and have to find their way through. Lions also have a very strong faith. Viva lions!”. The last page shows a true, honest side of Lions. One of them confessed: “I try to help others when possible, enjoy meeting and connecting with as many people as possible. But I admit I’m very lazy 😛 “.Mick Jagger of Rolling Stones (and the Rest of the band) have been playing rock and roll for nearly 50 years. You cannot be lazy doing that! You need to love it! And so we have reached the end of another book! In short: Leos are stubborn; they know what they want and what to do to get it. They do not need advice from anyone (some think this is their biggest fault!) and will always follow their own paths. Lions are individualists but with kind heart and sensitive nature. They can be lazy (and proudly admit that!) but when they work, they give their best. Born leaders – not followers. Kings and Queens or the urban jungle! The Seventh sign on our list is the Libra, the symbol of justice! Pay attention, the next blog is all about ya!